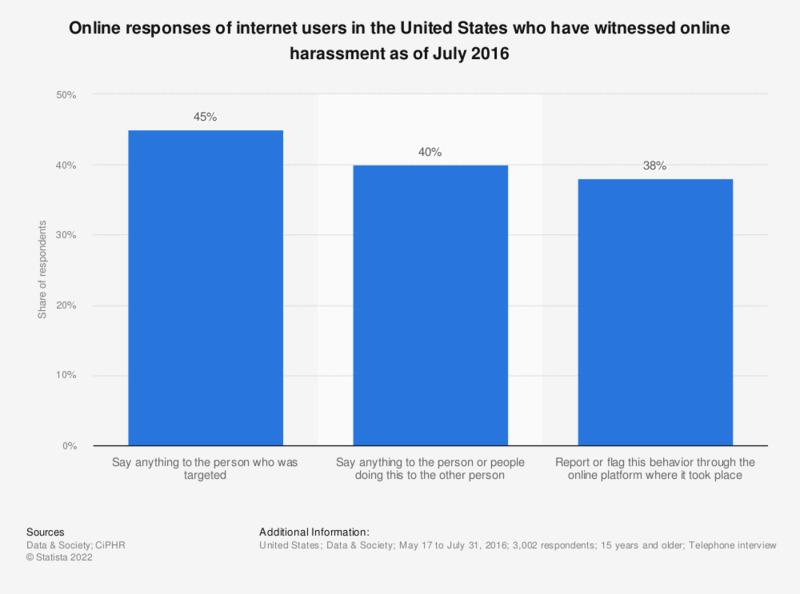 This statistic presents the most common responses given by people who have witnessed online harassment directed at a particular person in the Unites States as of July 2016. According to the source, 45 percent of the respondents said something to the person who was targeted. Original statement: Among internet users who have witnessed online harassment, the percentage who say they have done the following things after witnessing harassment behaviors directed at a particular person online.